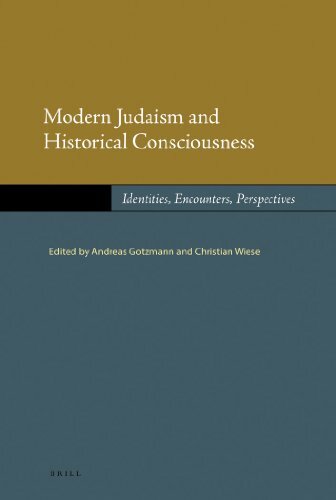 Written by leading authors in their respective fields, this first comprehensive handbook on the relationship between modern Judaism and historical thinking contributes to a differentiated interpretation of Jewish historiography and its interaction with other academic disciplines since the Enlightenment. Andreas Gotzmann, Ph.D. (1995) in Jewish Studies, is Professor of Jewish Studies at Erfurt University and taught at Dartmouth College. He has published extensively on Early Modern and Modern Jewish History and Jewish historiography, including Eigenheit und Einheit: Modernisierungsdiskurse des deutschen Judentums der Emanzipationszeit (Brill, 2002). Christian Wiese, Ph.D. (1997), is Director of the Centre for German-Jewish Studies at the University of Sussex and taught at Erfurt University, in Montreal and Dublin, as well as at Dartmouth College. He has published extensively on modern Jewish history and thought, including Challenging Colonial Discourse: Jewish Studies and Protestant Theology in Wilhelmine Germany (Brill, 2005). Refunds Offered Within 10 days of order. Address: Simi Valley, CA, U.S.A.